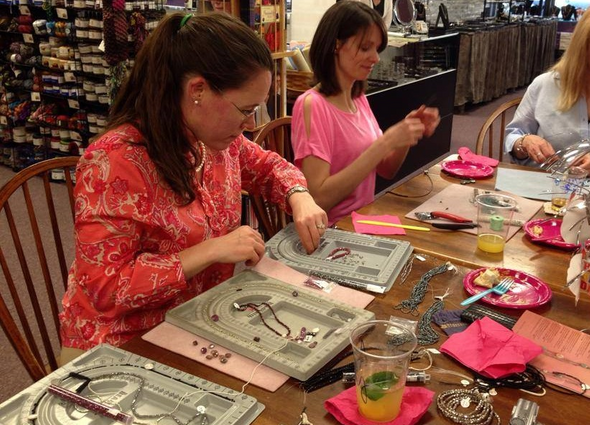 Would you love to have a jewelry making party with your friends? We'd love to help you host it, on or off-site. 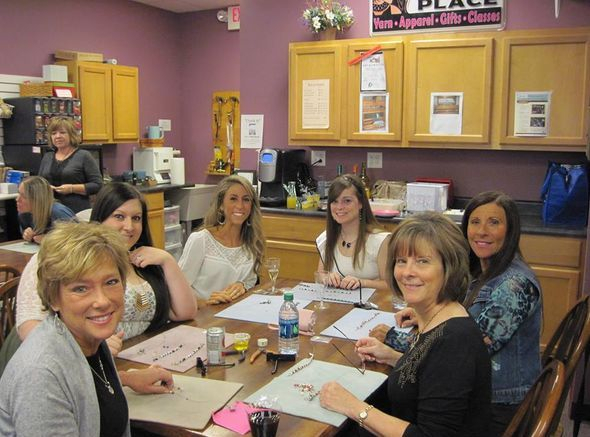 Please call well in advance to book our store after hours, as space fills quickly with classes and other events. Call 618/222-0772 for additional details on purchase minimums and deposit requirements. Our standard parties require a half-down deposit to hold the date and require a $25 per person minimum purchase. Please understand that we are unable to host in-store children's parties at this time. We'd be happy to provide you with everything that you need to host your party at home! We will suggest projects, product, and instruction! We have coffee, lattes, cappuccino, hot and cold teas, Jones Sodas, and water for sale. You may also bring your own food and drinks. Please bring your own plates, napkins, cups, etc. We do not provide refrigeration, serving staff, or clean-up. Share our website with your best friends and plan a day to have some fun with us!